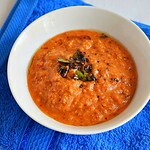 I started to make this carrot sambar recipe for my daughter when she was a kid. Its a great way to make my daughter eat this vegetable. I make it less spicy as per my baby’s taste. 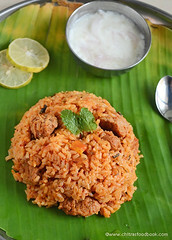 Its a good side dish for Idli, dosa with a nice aroma and mild sweetness of carrot. This sambar can be served for rice if you add little more tamarind. 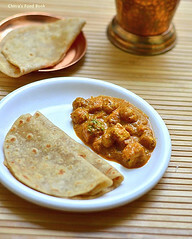 You can make it as a no onion no garlic version by skipping onion, garlic in this recipe. 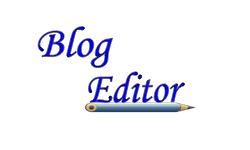 I have shared those points in Notes section.Try this for your family .I am sure they will love it. 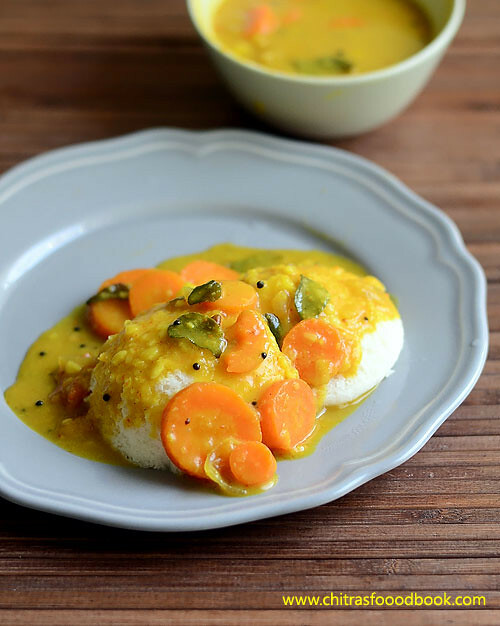 Lets see how to make this healthy carrot sambar recipe for Idli ,dosa. 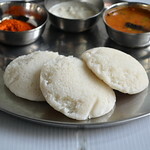 Check out my other Idli Sambar Recipes HERE. Wash & peel the skin of carrot. Chop into slices.Chop the big onions into small cubes. If using small onions, peel the skin and set aside.In a pressure cooker, take dal, few curry leaves, a tsp of ghee and turmeric powder adding 2 cups of water. Take the sliced carrots in a small bowl, no need to add water.Place it inside the cooker. Cook for one whistle in low flame. Open the cooker & mash the dal.Remove the carrot bowl. Heat oil in a kadai and when it gets heated , season with mustard seeds, fenugreek seeds, curry leaves. Add onion, garlic cloves and saute until it turns transparent. Add tomato pieces and saute until mushy. Add the tamarind extract, hing, salt, sambar powder , turmeric powder and salt.Boil well for few minutes. Add cooked carrot slices and dal. 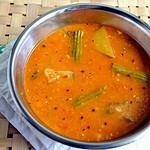 Mix well and roll boil for 2 minutes.Adjust the consistency of sambar by adding required water. 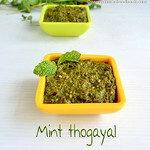 Garnish with coriander leaves.Transfer the sambar to a vessel and add a tbsp of ghee. Enjoy with hot Idli, dosa !! To make this sambar for rice, add medium gooseberry sized tamarind and use 1 slitted green chillies along with onions.Do not add more tamarind. Sambar will become too sour. SKIP onion garlic and make it for festivals. 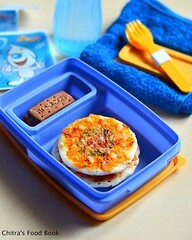 You can also add potato cubes along with carrot slices. For variations, skip tamarind and use 3-4 tomatoes. 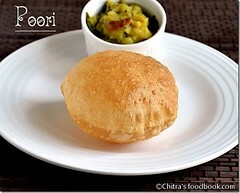 You can use either toor dal or moong dal alone. 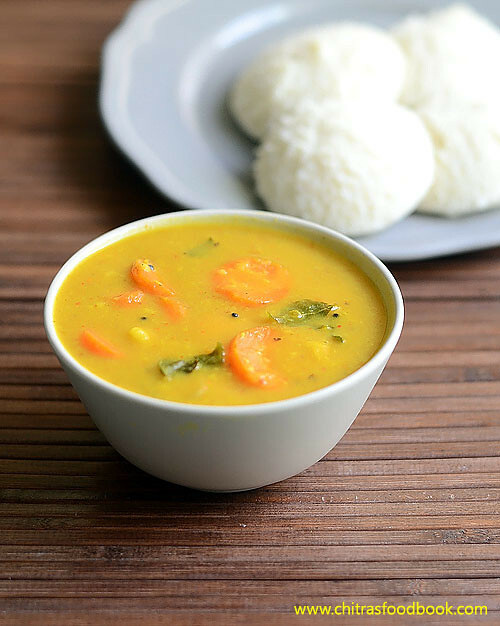 Enjoy this healthy, yummy sambar with Idli, dosa ! 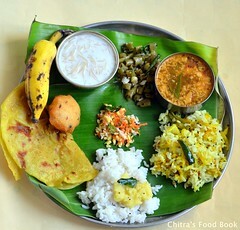 mmm I can actually smell the aroma of the sambhar from the droolworthy clicks..too good. Yeah I make this sambhar similar way ... and I have it as side dish for idly as well ... love it anytime ... those idlis make me feel hungry ..
Lovely rich colour and full of awesome flavours. Nice one. Surely kids will love this !!! Looks delicious !!! 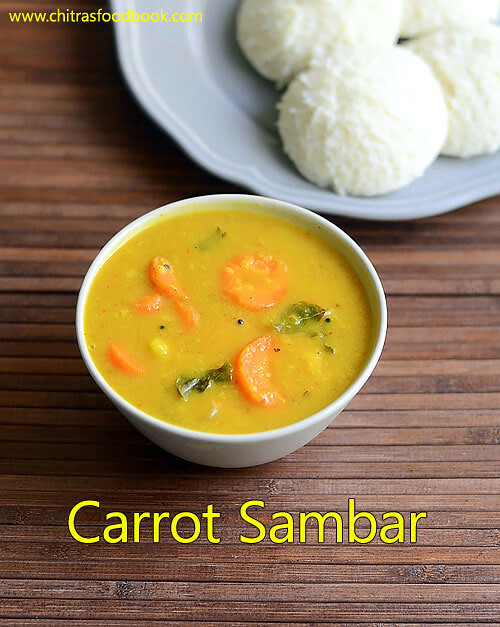 Love this so much ..adding carrots really makes sambar light sweet which tastes wonderful I love it. I love carrots in sambhar too,adding garlic is really a twist. Carrot sambar is my fav dish.I add 2 cloves while seasoning for extra flavour. 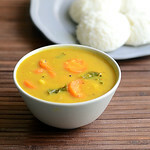 Love carrots in sambar looks yummy..
Love carrots in any form..Yummy sambhar!